GTB helped craft the campaign in partnership with Google and Outside TV, which Ford said helped identify what kind of gear and adventure activities people in specific cities preferred. 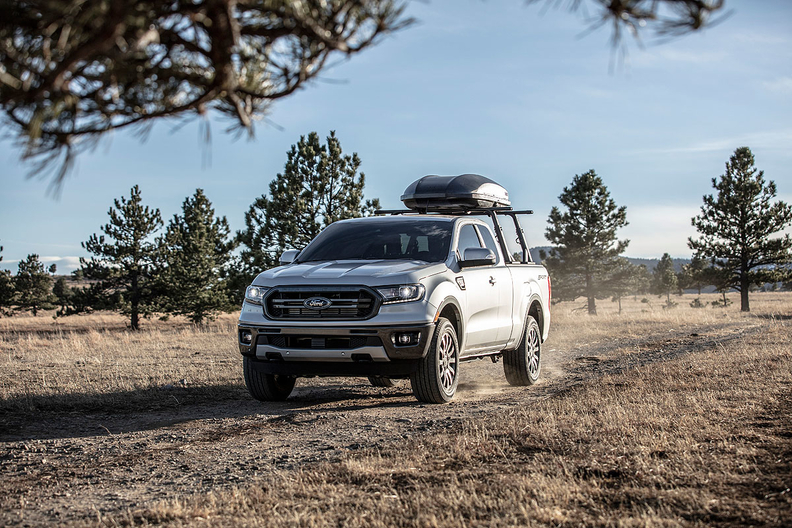 DETROIT -- The first U.S. advertising campaign for the new Ford Ranger midsize pickup focuses on an adventure theme tailored to a handful of cities. Titled "Tough Has More Fun," the series of billboards and commercials launching today spotlights 15 men and women who ski, surf, mountain bike and rock climb, all using their Ranger. Aside from some national ads, the campaign initially will target consumers in Seattle, Boston, Denver, Los Angeles and Phoenix before expanding this year. Officials say the hyperlocal approach helps them better reach customers who might not be as interested in a broader, less-personal strategy. "We're really going more after our audience instead of getting into some of those mass broadcast opportunities," Lisa Schoder, who heads U.S. media intelligence and strategic planning for Ford Motor Co., told Automotive News. "With every campaign, we try to take it to that next level. We're getting much more targeted in using adjustable and digital media to its greatest extent." The marketing push will include a partnership with the Weather Channel that will enable Ford to change digital billboards and website images in real time to match local weather. So, a consumer in Denver might see a skiing ad in the morning if it's snowing but a rock-climbing ad later in the day after the storm. National TV spots will appear on streaming services such as Hulu and during college basketball games, NASCAR races and other events. They include a 30-second video called "Strange Creatures," which highlights human desire to engage in challenging physical activities. Ford has chosen to market the Ranger as a lifestyle vehicle for active buyers, in part to differentiate the pickup from the larger F-150. Early returns have been positive. The automaker sold more than 2,000 pickups in its first month on sale and Kumar Galhotra, Ford's president of North America, said Ford was adding "massive overtime" at its Michigan Assembly Plant to accommodate demand. The previous Ranger, discontinued for the U.S. in 2011, was regularly among the segment's top sellers, including No. 1 as recently as 2004. Ranger sales routinely totaled more than 300,000 a year in the 1990s before fading in the early 2000s. It's competing in a crowded midsize segment with stalwarts from General Motors and Toyota in addition to new entries on the way from Jeep and others. "We really think the Ranger has the credibility to be an absolute star in this space," Schoder said. "It's taking a different spin on 'Built Ford Tough.' "